Hop twig over old wooden table background. Vintage style. Beer production ingredient. Brewery. 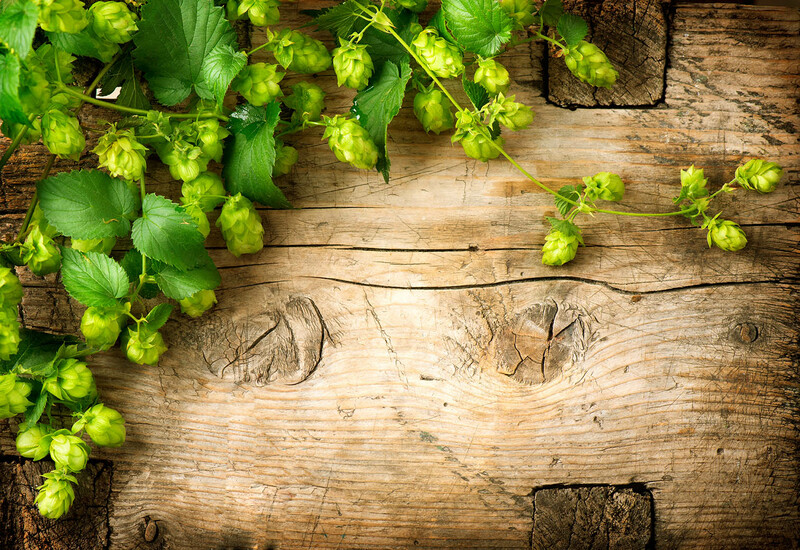 Fresh-picked whole hops close-up. Brewing concept wallpaper.